When you’re ready to part ways with a boat that’s seen better days, it can be difficult to know where to start–especially if you’ve never disposed of a boat before. However, you can skip the stress by enlisting the help of Couser Supply. We arrange professional boat towing in Washington, DC, and the surrounding areas, including Baltimore. Let us know when you want that old boat gone and we can help initiate the towing process. Need help with another project? Just let us know. In addition to unwanted boats, we are capable helping you set up services to haul away and dispose of other vehicles, including planes. We specialize in organizing the removal of bulky, oversized, and difficult-to-handle loads, so reach out today to learn how we can help make your life easier with towing services. When you ask us about boat towing services, be sure to ask about salvaging–we can easily add it to your request. Not all old boats are worth saving or reselling. Many of our clients simply prefer to wash their hands of these worn-down vessels. That’s where our team comes in. 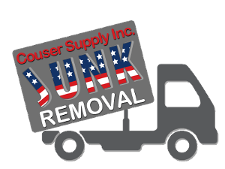 At Couser Supply, we don’t just help you get a service to haul boats–we salvage them according to standards outlined by the local government. 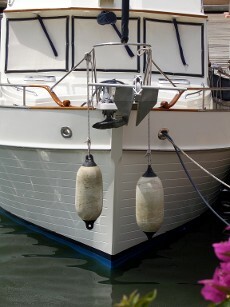 Our crew is well-equipped to dispose of boats made from materials like fiberglass and wood. Want to keep these materials after your boat is hauled away? Just let us know. We’re more than happy to set these materials aside after we strip them off the boat for your convenience. Many boats are made of materials that must be disposed of safely. We can guarantee that your boat will be disposed of ethically and with no risk to the local environment. It’s one of the reasons local residents trust their boat disposal needs to our company. Contact us today to arrange boat towing services for your unwanted vessel. We proudly serve residents of Baltimore, Maryland, as well as those in Annapolis, Columbia, Glen Burnie, Alexandria, and Washington, DC.